You may have seen the insurance commercial about “Mayhem”, a mythical character representing accidents. 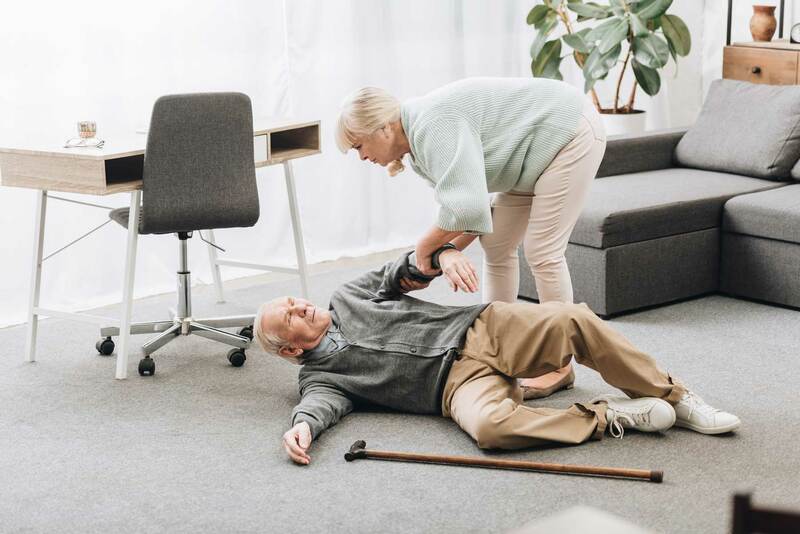 Ironically, though most of our elderly parents are quite content to be finally independent and safe at home, “Mayhem” may be lurking around waiting to take safety away from them. 100% of ER doctors say that the most common accident in seniors at home are falls. A dangerous place to fall is the bathroom and the stairs, but falls can occur in other areas around the house including the kitchen and bedroom. Throw rugs: a tripping hazard. They might keep the carpet cleaner, but they may be a danger. Throw the throw rugs out in that case. Your elder needs more space to negotiate walking around the house. A clear walkway that is blocked by furniture can be a setup for a fall. Rearrange them in a safe way. Sure, it may not look as good, but the goal is to keep them not only independent but safe. Night lights: how many times have you kicked furniture or shoes in a dark room? Imagine a senior trying to maintain balance after hitting something in the dark. Night lights are an economic investment in their safety. Some night lights cost as little as a quarter a year to run. There are motion activated lights, but make sure they are used to them because they can be startled and confused at night. There are night lights with timers, but this might not be the best choice if one expects to stay in the room a while. A good night light for the bedroom would be one that brightens up gradually because that could cause blinding and confusion as well. Having a touch operated lamp by the bed ted. There are also night lights that could run dimly so their sleep isn’t disturbed. One interesting night light illuminates the toilet with a custom color. Considering the frequency of dangerous bathroom falls, this would be a great choice, and can be done in various colors. Some night lights can be quite decorative. Bed railings: This could be a touchy subject. Bed railings might make your elder parents feel old and disabled. My father fell out of bed several times until he agreed to one. Bed rails are recommended for anyone with poor mobility especially after an injury, and may also help deter wandering with your loved ones who may have problems with dementia. I looked around for a decorative bed railing, but so far they all make any bed look …well, like a hospital bed. Share with us if you think you’ve found one that looks pretty good. Smoke alarms: Seniors sometimes don’t know what the beeping noise on smoke alarms means (i.e. the battery is low). Make sure the batteries are changed on time. Some areas in the house may need serious renovations. Take the kitchen. Some cabinets are too high or too low. If your elder parent has to use a step ladder to get up to get dishes or food, “Mayhem” might be right there to “catch” their fall (yeah right). On the contrary, “Mayhem” would be content to see them fall, either from a ladder, or reaching too low and losing their balance in the process. Move the food and dish (etc) items to about the waist level, not lower or higher. Stairs can be treacherous, especially for those who like slippers. Some non-stick tape (though not slightly) may prevent even a lethal fall. Finally the bathroom, a major danger area. Bathroom tubs can be slippery. Tell your parents you are aware they feel it could give tubs and showers an unattractive look, but railing and non-slip mats or stickers. Bathroom grab rail installation may require professional installation. Imagine grabbing a rail in a fall and having it rip off the wall. Grab rails can be unsightly, yes, but take it from me. My father fell several times in the shower, grabbing the curtain to break his fall. He finally gave in to having a professional crew make a safe bathroom for him, and it didn’t look so bad. There are professionals that can walk around your parents’ home as well for a thorough assessment. Falls account for as much as 50% of nursing home admissions, and 50% of elders who fall never gain their independence, something your elder parents may cherish. 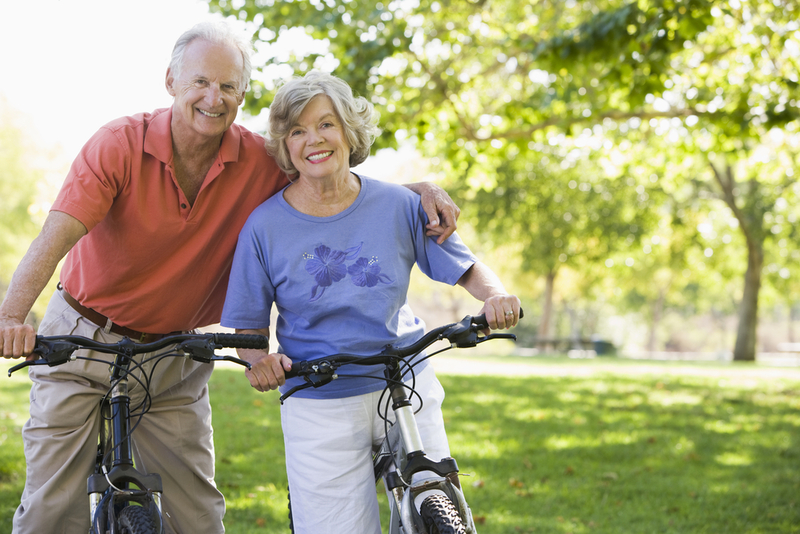 Even a minor fall can lead to fear of falling again, thereby reducing their activity and overall quality of life. By giving up some esthetics, and rearranging some furniture and food items, you are helping to keep “Mayhem” out of your loved one’s homes.